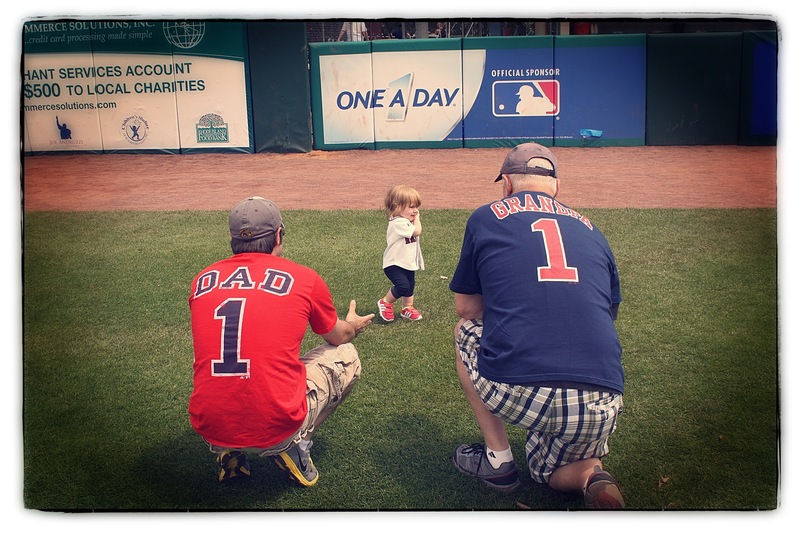 Dave also loves baseball–which was a requirement for a partner, since I could never imagine myself with a man who didn’t love, or at least have a deep understanding of the game. 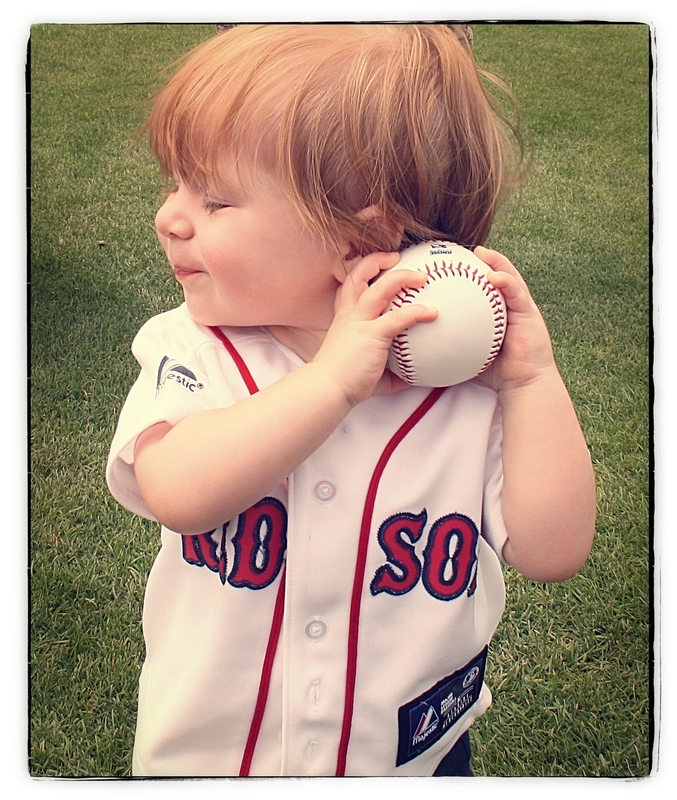 On our first date Dave asked me who my favorite Red Sox player was, fully expecting a response of “Uhmmmm……Jacoby is really cute!” My response?? 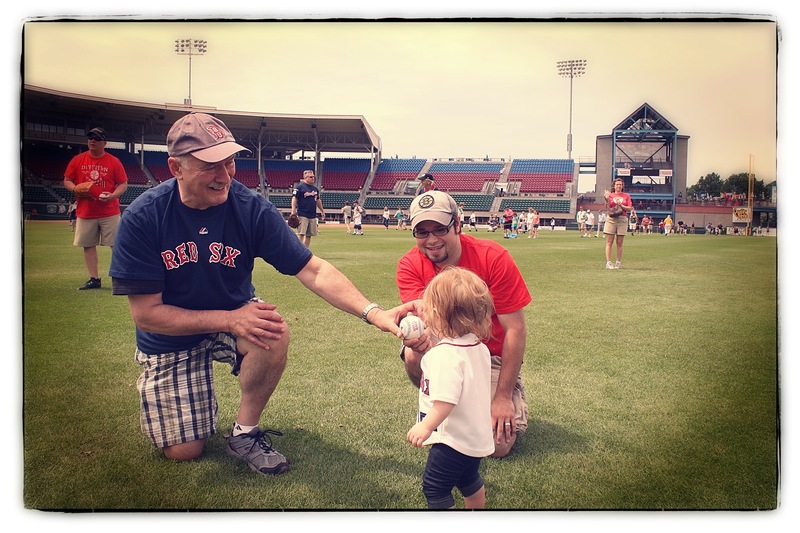 “Well, What decade are we talking?” Then I gave him the list, starting with Bobby Doerr and ending with Jason Varitek (with Tony Pena, John Valentin, and Brian Daubach thrown in the middle) He knew, when I threw out more “obscure” names like Daubach, that I was the girl for him. 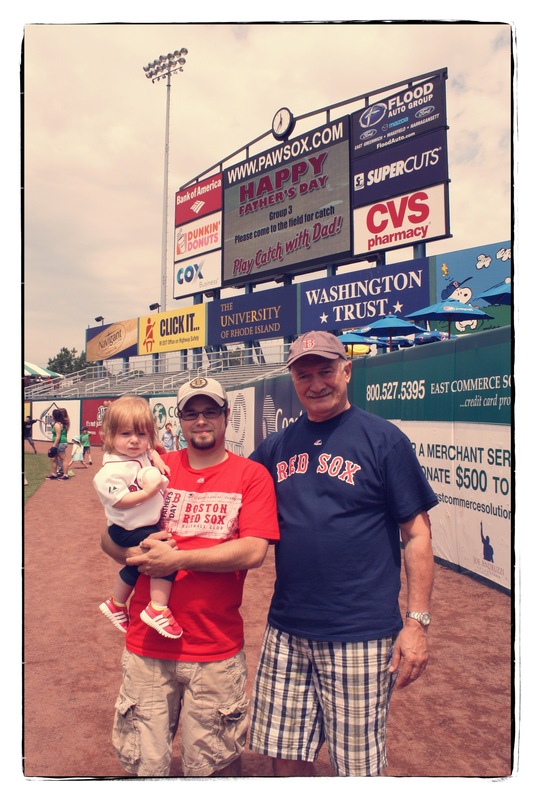 So, when we were told, by a friend, that the Pawtucket Red Sox were having a Father’s Day BBQ on Sunday before the game, we knew what we were going to do to celebrate the Dads! 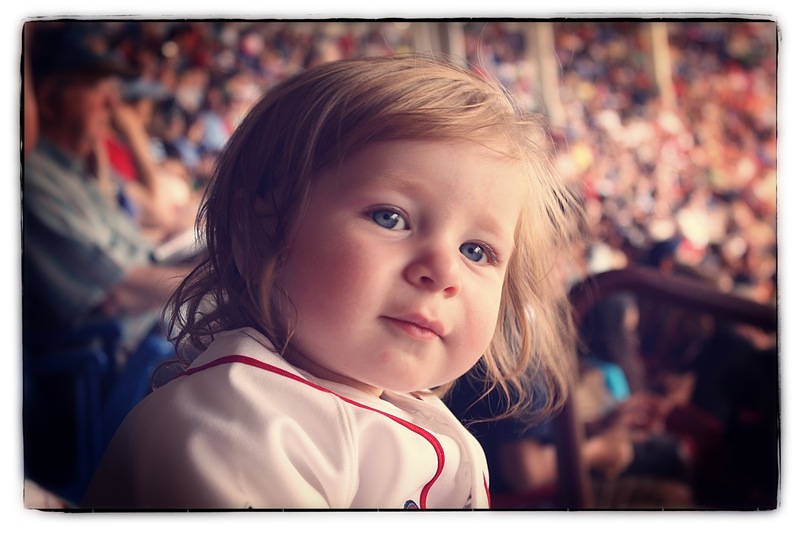 We had such a great time, and will definitely do this again next year if they offer it!! 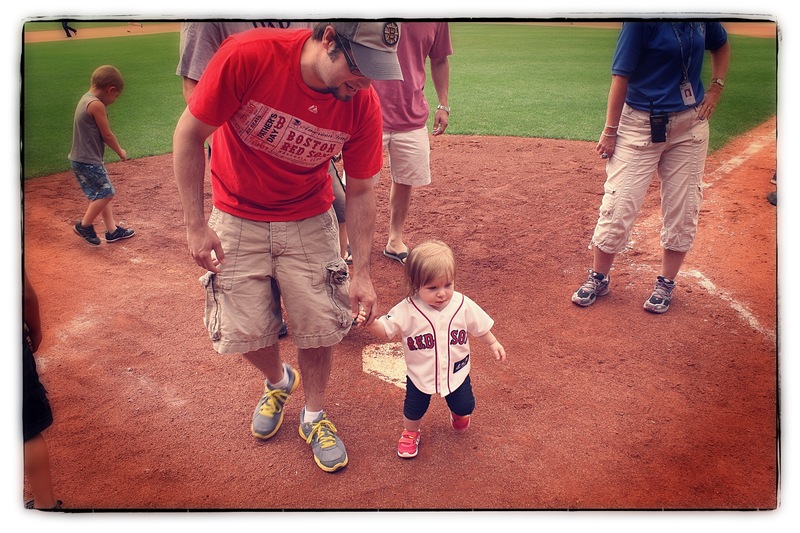 And now for some pictures…. 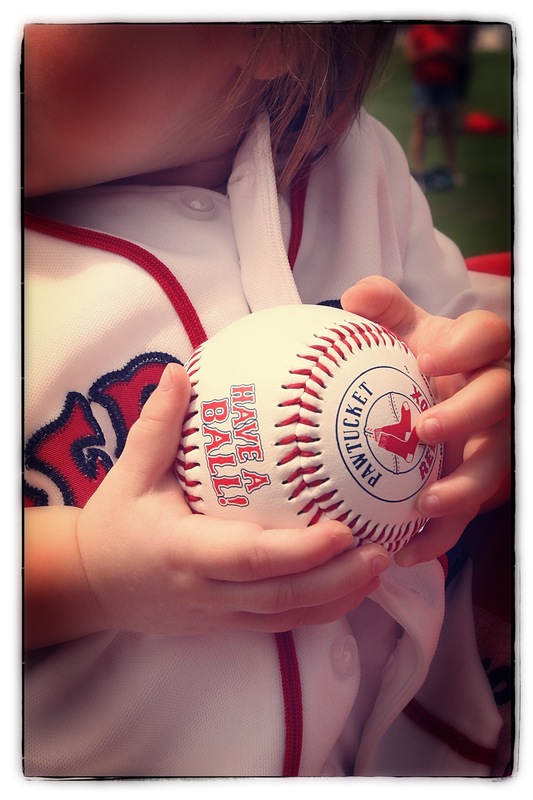 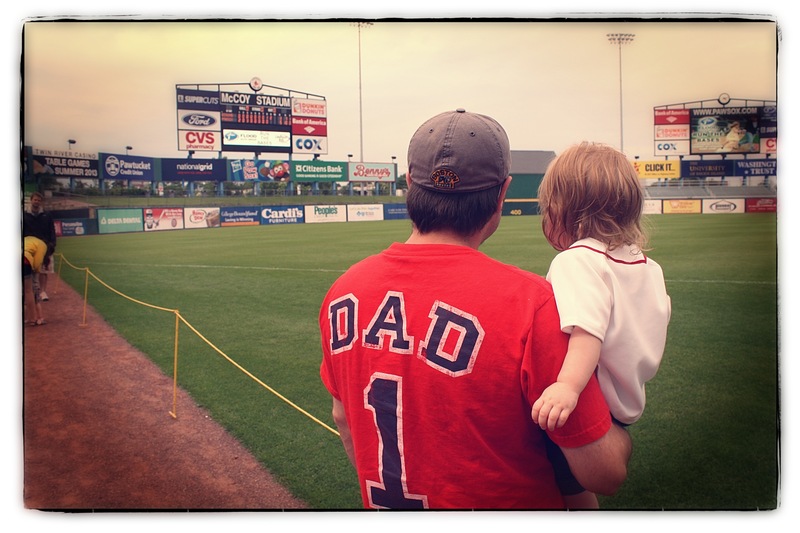 This entry was posted in Family, Family Fun and tagged baseball, bbq, catch, dad, daddy, family, father, Father's Day, grandfather, grandpa, love, mccoy stadium, papa, Paw Sox, Pawtucket, red sox.